Leading the way on a record-breaking tour will garner you some attention and lately, there seems to be no shortage of that for Tech N9ne who was caught on camera in Columbus, OH for some exclusive action-packed photos. 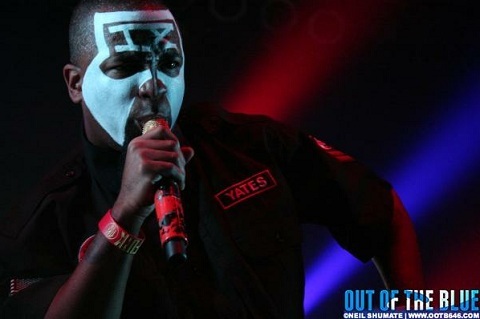 Out Of The Blue, a webzine, recently published a new set of photos from Tech N9ne’s exciting stop in Columbus on the Hostile Takeover 2012 Tour. Joined by Krizz Kaliko on stage, Tech N9ne took over the Newport Music Hall and Out Of The Blue was there to catch the Kansas City King in all his glory. Although the Hostile Takeover 2012 Tour is best experienced live, these brand new photos give fans an idea of what to expect from the biggest tour in rap history. Click here for tickets to the Hostile Takeover 2012 Tour! Have you seen Tech N9ne live?